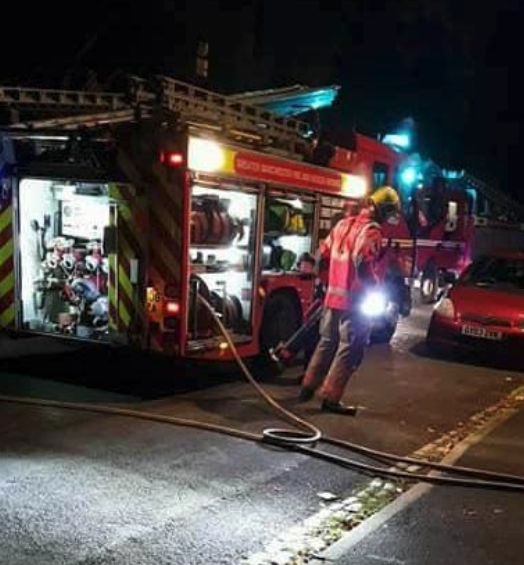 A group of third year Manchester students refused to call off their house party after someone set their garden shed alight. Three Fallowfield residents proceeded to go ahead with their planned house party despite someone setting their garden shed on fire. The students had to call 999 as their garden shed blazed, with the surrounding trees in their garden also catching fire. "he thought he saw someone running away. But the policemen said they can’t be sure on that." However, the fire did little to dissuade the group from throwing the large house party they had planned for the evening. As soon as the firefighters left, the group texted the party goers that it was business as usual. Resident Pearly said the fire merely added 'thrill' to the party, with many of the attendees going outside to inspect the damage. "We weren’t going to let some loser scum-bag with a fetish for fire and fear ruin our night." That's some pretty impressive commitment to the sesh, fair play lads.